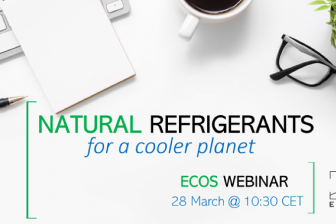 Project partner ECOS hosted a webinar on standards and natural refrigerants. Read here a short interview with one of the most active and enthusiastic project partners, Laure Meljac from Swedish heat pumps’ manufacturer NIBE Climate Solutions. LIFE FRONT consortium members met in Germany in February 2019 for a general project meeting. Standards revision for hydrocarbon-based systems was one of the key topics discussed at the ATMOsphere Europe 2018 conference in Italy. Preview of LIFE FRONT's industry survey findings revealed at Montreal Protocol meeting. In a sign that the interest for the use of flammable refrigerants is on the rise, the LIFE FRONT project was extensively presented last week at the Polytechnic University of Valencia. Contribute to our market research on HVAC systems using hydrocarbons. Results are treated anonymously will be aggregated in a publicly free report. Around 140 participants joined the webinar on the LIFE FRONT project, which aims to remove barriers for hydrocarbons in HVAC&R. Save the date! 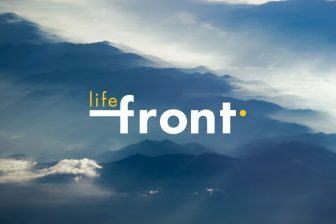 The first public webinar about the LIFE FRONT project will be on 25 April at 3 h CEST. We will be talking about the objectives and expected outcomes of the project.